From an early age I loved story books - especially where the stories were told in verse. I was raised on Robert Louis Stevenson’s A Child’s Garden of Verses in the 1940s. In the 50s I subscribed to a magazine (6d per fortnight) called Sunny Stories which contained ‘jolly’ poems along with ‘splendid’ stories. In the 1960s, my children loved the Ladybird rhyming stories: Bunnikin’s Picnic Party, Ginger’s Adventures, and Smoke and Fluff. We especially loved Smoke and Fluff, the tale of two naughty kittens. I can hear us reading together until we no longer needed to turn the pages as we remembered every predictable melodic syllable. Predictability helped remembering. Being able to retell the tale. Throughout history it was easier in verse. Storytelling was as important then as now. And listeners often loved that they already knew how the tale went, finding comfort in its predictability. These days we may more often look for poems that are thought-provoking and surprising. Have you noticed how poetry is currently serving many more purposes with wider and wider audiences? In many forms and platforms too. e.g. The Nationwide Building Society is going great guns with its spoken word performance poetic advertising, so is The Royal Navy to mention just a couple. If that’s not poetry then I don’t know what is. 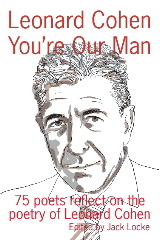 I won’t talk about well known poets like Emily Dickinson, John Donne, Alfred Lord Tennyson or Dylan Thomas in this blog - instead, I’d like to give a mention to songwriters who were poets, like Leonard Cohen, David Bowie, Lou Reed, Paul Simon, Bob Dylan, Janis Joplin and, of course, The Beatles. Naming but a few of those who often write/wrote the poetry first. They sure found the form, the language and the melody, and in that, their music. Poetry can be experimental. Phrases can be spare. Message essences are captured. Then up will pop that spark, followed by a flame which gives us the light to see reason and our own view. Causing us to stop and think. Like therapy. Poetry has a job to do and it does it in so multifaceted ways. Open to interpretation (like a painting.) You don’t necessarily have to understand it either. As a reader, it becomes yours and yours alone. To enjoy the sounds, the rhythms, and yes, the melody. Always there to be revisited. To be rediscovered. My love of poetry has never wained through the decades. I have explored the old poets and the very new. The war poets, the romantic poets, the rappers, the translated and the balladeers. I’ve also found an abundance of prolific local poets. I’ve collected books of poetry from Burns to Betjeman. I dip into them - read and reread. On occasions, in just a few lines, I’m transported to unimaginable places and times. Composing poetry helps with my fiction writing too. I often edit by turning prose into a poem and back into prose (I find that a good exercise). I hope I’ve inspired you to read some poetry, we don’t necessarily have to understand it all to enjoy the language and the melody. Or write something, I dare ya! Post a few lines in the comments. Mary Oliver, the much loved American poet, died on January 17th this year. So I will leave you with the opening to one of her works and hope it helps you to understand this love affair I have with poetry. All lyrics and images used in this blog are available on public domains. Poetry by S.B. Borgersen can be found on Amazon, Lulu, ArtAscent and at The Foundation for Public Poetry. Links can be found on Sue’s Writers Abroad profile and the website sueborgersen.com. Its like you read my mind! You seem to know so much about this, like you wrote the book in it or something. I think that you could do with a few pics to drive the message home a bit, but instead of that, this is fantastic blog. A fantastic read. I'll certainly be back.